A native of Bethel, Vermont, where Green Mountain Pipeline Services is headquartered, Corey Stearns has spent almost his entire career in the trenchless rehabilitation industry. Even before getting his degree from the University of Vermont, Corey was serving as a laborer, then working his way up to foreman and superintendent – spending 16 years in the field in total, including a decade in manhole rehabilitation. 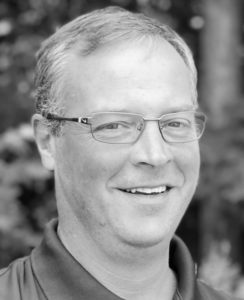 In 2003 with Tim Vivian and other partners, Corey co-founded Green Mountain Pipeline Services, where today he helps manage the day-to-day operations as Vice President & Chief Administrative Officer.